Wayne is a Gastroenterologist and Monash University 1991 graduate with honours. 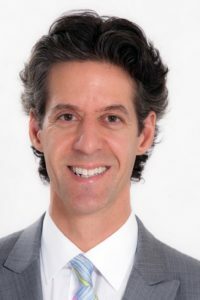 Dr Friedman specialises in Colonoscopy and polyp removal (polypectomy) aimed at the prevention, screening and treatment of colon (bowel) cancer and other diseases of the large intestine. He also performs Gastroscopy procedures which focuses on diagnosing, preventing and treating digestive diseases including early stomach cancers, cancer of the oesophagus and pre-cancerous changes too. Dr Friedman performs Colonoscopy and Gastroscopy procedures at 3 locations, shown below. Wayne is a member of RACP, GESA, ASGE and regularly attends local and international conferences. He enjoys spending his free time with his family and friends in addition to swimming, and playing tennis. Click here to view Dr. Friedman’s registration status on the Australian Health Practitioner Regulation Agency website. Wayne consults at Blackburn specialist clinic on Thursday morning and performs Gastroscopy and Colonoscopy procedures at Epworth Eastern Box Hill and Glen Iris Private Hospital.